Wedding Photography with Photographs By Mish is more of an intimate experience than you might expect. I love photographing people in love. My favorite part of this occassion is shooting the bride and groom. I love to capture the emotion, joy and intimacy you feel for one another on your special day. My wedding package reflects this. It’s simple, intimate and covers the important moments. 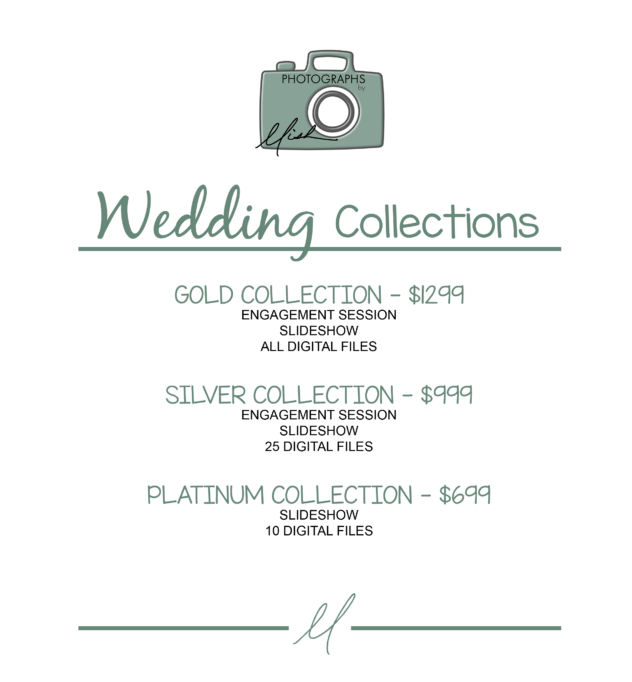 All collections include up to 3 hours of photography time, phone pre-consultation, editing and a private viewing/ordering appointment. Each collection offers a bundle of savings. like a coffee shop. Your appointment will begin with a slideshow of all images from your special day and you will have the option to add gift prints, keepsakes or wall art to your collection. Just need an hour or so?